Reinisch, B. W. and Schlegel, K.: Obituary: Karl Rawer (1913–2018), Hist. Geo Space. Sci., 9, 105-106, https://doi.org/10.5194/hgss-9-105-2018, 2018. Karl Rawer passed away on 17 April 2018, two days before his 105th birthday. 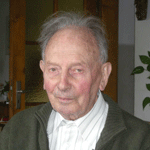 Karl Maria Alois Rawer was born on 19 April 1913 in Neunkirchen (Saarland), Germany. He studied physics in Freiburg and Munich and was fortunate to have well-known teachers such as Gustav Mie, Gustav Dötsch, Arnold Sommerfeld and Jonathan Zenneck. Jonathan Zenneck, who had already started ionospheric echo sounding experiments in Germany in 1930, had asked Karl Rawer to develop the theory for the reflection of vertical incident radio waves in the ionosphere for his doctoral dissertation. Being allowed access to the jewel of the mathematics institute, an electrically driven mechanical calculator, he was able to solve the problem of radio wave propagation in a stratified medium in a little more than a year's time, using hyperbolic and Epstein functions; he published his results in Annalen der Physik (Rawer, 1939). From then on he was hooked in one way or other to ionospheric research and the computer as an analysis tool. His quest to fully understand and describe the physical processes that form the ionosphere and control its behaviour always included experimental verifications of any theoretical model. Figure 1Karl Rawer in 2008. During WWII, he was charged with the development of ionospheric radio wave propagation predictions, working with Johannes Plendl and Walter Dieminger. At the end of the war in 1945, Rawer's group accepted the invitation of Yves Rocard in Paris to establish an ionospheric prediction service in Germany's French Zone. In spite of the difficult post-war conditions, an ionospheric vertical incidence sounding station came to life in 1946 at Schloss Neuershausen near Freiburg under the auspices of the French Service Prévision Ionosphérique de la Marine (SPIM). This was the beginning of a long cooperation between French and German ionospheric prediction studies. Rawer then managed to establish the Ionosphäreninstitut in Breisach (close to Karl Rawer's academic origins in Freiburg and to his native Saarland) under the administrative control of the German postal service. This institute gained an international reputation in the field of ionospheric radio wave propagation and forecasting, the development of ionosondes in cooperation with research organizations in the USA and France, and joint measuring campaigns in Italy, Greece, Norway and Africa. Karl Rawer recognized early on that ionosphere and space research in Germany can only advance in cooperation with the world community and that international science cooperation can build bridges between countries helping to foster peace in the world. In the early 1960s he was the first German after the end of WWII to be invited to lecture at the Sorbonne University as an associate professor in collaboration with his friend Étienne Vassy. For many years he made weekly trips between Breisach and Paris. Rawer was very active in URSI (Union Radio Scientifique Internationale). His activities in this international union began in 1954, when he represented German ionospheric research in preparation for the International Geophysical Year, 1957–1958. Ionospheric sounding was performed in many countries around the world at that time, but common rules and algorithms for the scaling and interpretation of ionograms had yet to be established in order to facilitate global ionospheric research. Thus, within URSI, eight ionospheric experts formed the Worldwide Sounding Committee under the leadership of Allen Shapley. The results of the committee's work was published by two of the members, Piggott and Rawer (1961), as the Handbook for the Scaling of Ionograms. Later, at the URSI General Assembly in Munich in 1966, Rawer was elected as international vice-chair of Commission III (today Commission G) of URSI. He served as vice-chair and subsequently as chair until 1972. Already in the early 1950s, he and his coworkers in his institute designed and built scientific payloads for the newly developed French rocket Véronique for its first successful launch in 1954 in the French Sahara (Algeria). Due to his experience in space research and his connections to international research groups, Rawer then took a leading role in the West German National Committee of COSPAR. He became its chairman after the death of Julius Bartels in 1964. He vigorously exploited the opportunity that COSPAR (Committee on Space Research) offered to establish long-lasting relationships between scientists from West and East across the Cold War borders, as well as with researchers in India and in hitherto neglected countries in the Far East and Africa. By nature having an inclination as an experimentalist, he was a master in describing and documenting new results and in sorting existing knowledge. His first book ever published entitled The Ionosphere appeared in 1953 in German (Rawer, 1953: Die Ionosphäre), which was translated into English in 1956 (Rawer, 1956). In 1967 he published, jointly with Kurt Suchy, “Radio Observations of the Ionosphere” as Volume III/II in the Geophysics Series of the Handbuch der Physik. After Bartels's death in 1964, Karl Rawer became the editor of the series and issued the next five volumes of the series, III/III to III/VII. In the mid 1960s, the Space Science Committee in COSPAR decided to develop a “standard ionosphere model”, similar to the COSPAR International Reference Atmosphere for the thermosphere parameters. Karl Rawer took on the challenge and chaired the COSPAR Task Force for the development of an empirical model of the ionosphere, the International Reference Ionosphere (IRI). When URSI joint the effort, the task force became an inter-union working group that started its work in 1968. Karl Rawer has hatched and then tutored the IRI working group for several decades. In 1961, in cooperation with the Fraunhofer Society, Karl Rawer founded a separate research institute in Freiburg, the Arbeitsgruppe für Physikalische Weltraumforschung (APW) with project funding from the Deutsche Forschungsgemeinschaft, NASA, and the European Space Research Organisation (ESRO). The launch of two successful satellite missions with APW instrumentation, AEROS-A in 1972 and AEROS-B in 1974, led to in situ temperature and ion composition data that became important input to the IRI. Soon the building in Freiburg became too small to house the expanding space research activities, and the Fraunhofer Society built an expansive institute in Freiburg-West; Karl Rawer was appointed the director of this Institute for Space Research (later renamed Institute for Measuring Techniques), leading it until his official retirement in 1979. Karl Rawer was born to lead and he did so by inspiring his coworkers and students, and by training young scientists from around the world. Even after his official retirement he continued sharing his insight and vision with colleagues in the scientific community. His comprehensive book Wave Propagation in the Ionosphere was published in 1993 (Rawer, 1993). One of the authors, Bodo W. Reinisch became Rawer's student in 1960, and is forever thankful having had such a wonderful teacher and friend. Kristian Schlegel is thankful to Rawer for many fruitful discussions and advice. This article is a modified version of a laudation previously published by Reinisch (2014). Piggott, W. R. and Rawer, K.: URSI Handbook of Ionogram Interpretation and Reduction, Elsevier, Amsterdam, 1961. Rawer, K.: Elektrische Wellen in einem geschichteten Medium. Zur Frage der partiellen Reflexion und zur Berechnung der scheinbaren Höhe von Ionosphärenschichten, Ann. Phys., 427, 385–416, https://doi.org/10.1002/andp.19394270502, 1939. Rawer, K.: Die Ionosphäre, ihre Bedeutung für Geophysik und Radioverkehr, Noordhoff, Groningen, 1953. Rawer, K.: The Ionosphere: Its Significance for Geophysics and Radio Communications, Ungar, New York, 1956. Rawer, K.: Wave Propagation in the Ionosphere, Springer Netherlands, Dordrecht, 1993. 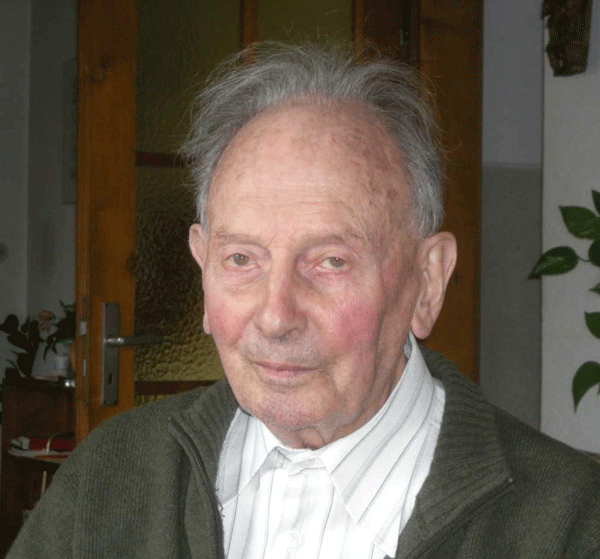 Reinisch, B. W.: Karl Rawer: space research and international cooperation – Laudation on the occasion of the 100th birthday of Professor Karl Rawer, Adv. Radio Sci., 12, 221–223, https://doi.org/10.5194/ars-12-221-2014, 2014.